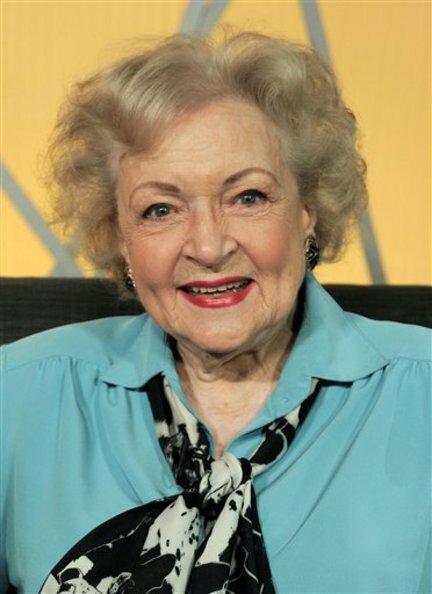 Everybody knows by now Betty White, 88, was on “Saturday Night Live” over the weekend. She was the subject of a successful Facebook campaign to get her on Saturday Night Live. She’s having quite a year. View some clips of White’s SNL performance here courtesy NBC, via Huffington Post. It is so great to see a wonderful show business veteran like White get this adulation in her 88th year. Of course I know little about her personal life, but it’s always great to see somebody who is apparently nice and together and not really great fodder for the gossip rags do well. One thing I like about Betty White is her characters are people we know, just writ large and funny. On the “Mary Tyler Moore Show” in the 1970s, she was Sue Ann Nivens; on the surface the always sunny Happy Homemaker, but really a man chasing woman with a bit of a mean streak. On “The Golden Girls,” she was sweet, naive Rose Nyland, who would surprise people with her unexpected expertise in various skills, like plumbing. During her Saturday Night Live gig, White was an unintentionally bawdy muffin maker and a really weird woman taking questions from a Census worker. It was classic. Another comic veteran taking a star turn these days is Carol Burnett. I love her the same way I love White. Clips of the classic skits are all over YouTube. I still think about watching Burnett’s wild, physical comedy on the Carol Burnett Show in the 1970s. 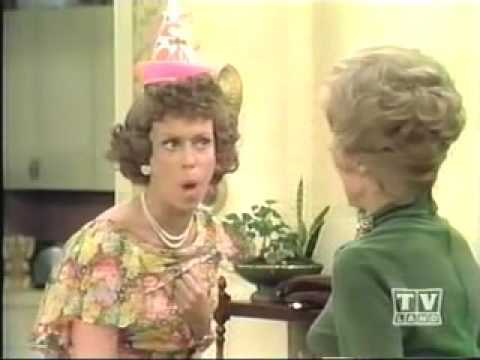 Photo shows Carol Burnett as Eunice, the flighty, bitter woman in a dysfunctional family that was a regular skit on the Carol Burnett Show. I haven’t read it yet, but I understand that, although it doesn’t shy away from painful moments in her life, she doesn’t settle scores. She speaks well of people she worked with over the years. Like most people, I do secretly admit I’m entertained by the back-biting nastiness that dominates comedy, politics and celebrities these days. But it is a breath of fresh air to know White and Burnett have millions of fans, many of them quite young, who embrace the comediennes’ relatively gentle but hilarious schtick. I understand Burnett is now beginning to go through what White experienced. There’s now a Facebook campaign to get Burnett on Saturday Night Live. I hope it succeeds. This entry was posted on May 11, 2010 at 12:12 am and is filed under Uncategorized. You can follow any responses to this entry through the RSS 2.0 feed. You can leave a response, or trackback from your own site.